A few hours ago on June 22, 2017, an email came in that made me do a double take. It read “Make [your business] stand out with timely updates on Google”. I clicked on it and was shocked to see that Google Posts is now rolling out to businesses. 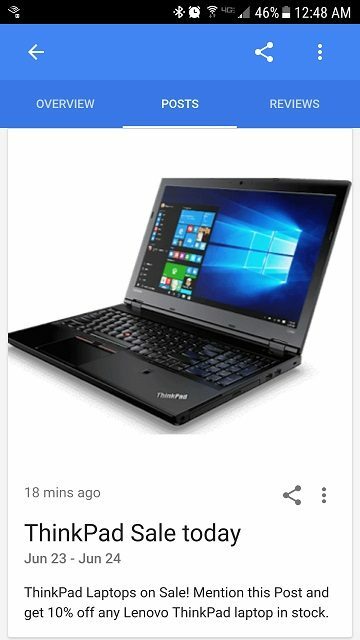 At first I thought that the Google Posts feature may display in search results as it had during the initial phase (aka Google Podium), but, that would be too good to be true; business’s posts simply display in their knowledge panel underneath the business information and above the reviews section (as seen below). 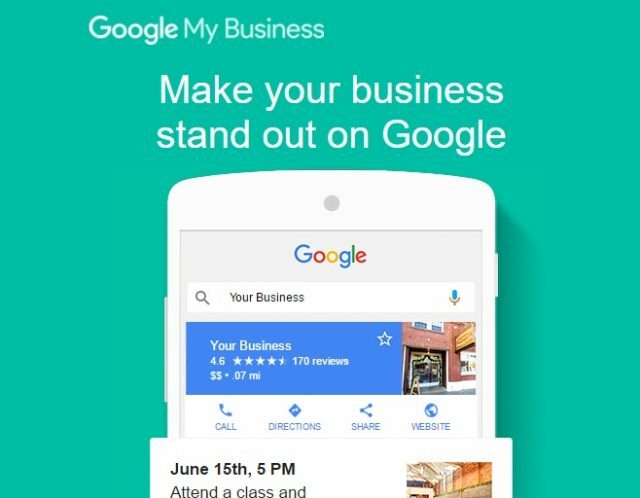 If you do not receive the email you can still visit your Google My Business (GMB) dashboard via https://business.google.com/ and you may see a “Posts” section. The posts do not show up in local search results, but if you have a Post up and a user clicks on your business they will see the Post in Maps (aka local finder) results. And on mobile, Google Posts show up as an extra tab in a place’s knowledge panel. This feature could be very useful for brands and venues which host events, or stores which offer an option to buy something online, etc. 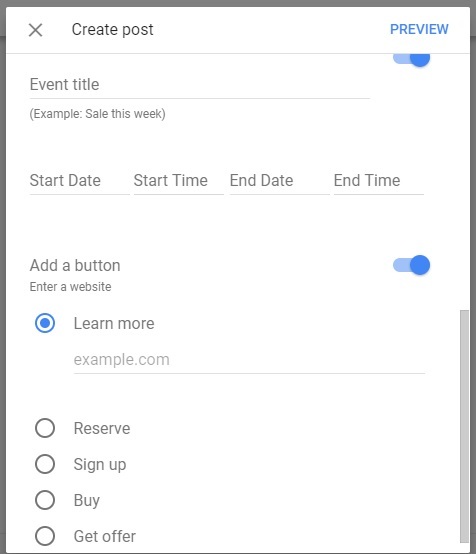 The learn more, reserve, sign up, buy and get offer links allow business owners to link out to pages that allow users to complete the action. Will businesses use Google Posts? I love the features, but, will businesses use them? Restaurants are still used to posting their specials over on Facebook where very few people ever see them. The events feature is really cool although people using it may be contingent on businesses using the feature and users getting used to it. I think in major cities businesses will begin using posts and I can see this being very important for certain verticals. Lawyers will likely offer free consultations and restaurants can display current deals. Black Friday discounts can be posted and links to take users directly to pages such as reservations pages can be easily provided. Brands will definitely want to take advantage of this, for example if Lowe’s or Home Depot has a Labor Day special they can promote it right in their knowledge panel. I just scoured the web and it appears a few businesses have been able to test this since earlier in June. I am currently seeing it live across all verticals I work with in the USA, Australia and the UK. Mike Blumenthal notes on his blog that the rollout is worldwide but that hotels and B&Bs are currently excluded. So… What are you waiting for? Get posting! Len, thanks for the write up. This is neat. Is there a way to monitor the number of people who see posts or the actions they take? If you’re directing traffic to a page, you could configure custom campaign parameters in analytics as well. Google Posts sounds like a great resource for connecting with customers in a totally new and unique way FREE OF CHARGE! I plan to give it a try to see if it makes a difference with my auto glass repair service. Thanks for the information! This looks like an exciting feature. I know so many businesses struggle to be visible on social media. The suggestion to use the google listing to connect with customers directly, by getting their email address, is extremely important. Having a direct connection with customers, outside of a social media platform, is extremely important. Hi Len, this is great info. I wasn’t aware of this new feature until I read it in your post! The possibilities for businesses to connect with customers in a new way is almost endless, especially those with mobile devices. Is this service free only for now or will Google start charging for the service eventually? For those who provide Social Media Marketing services, this is another amazing tool in their arsenal and it is so simple to set up and implement! Thanks again for the great info Len and I look forward to seeing some success stories in the posts. 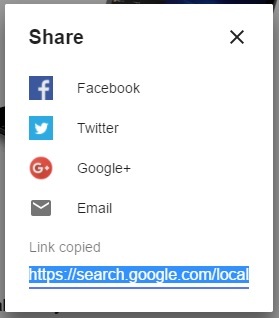 Can I use Google Posts on more than one GMB page at a time? What if I have 10 locations?